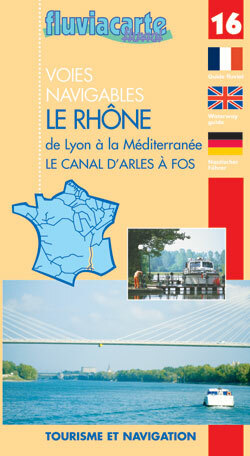 NOTES ON THE CANAL DU MIDI. So although this can be a good route for many big catamarans with a shallow draft, the width when you add fenders may be a problem.... Also be aware that in mid summer when there is a drought water can be lower than advertised in the Canal du Midi. Unlike the canals in eastern France where you can push your keel though the soft mud the Canal du Midi was blasted out of rock... It is not unknown for boats on the limit to have to be craned out and put on lorries when the level drops in mid summer. 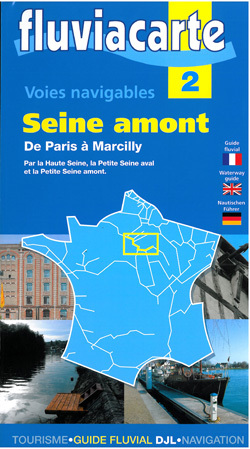 At some point you will have to buy a license for the time spent in the river canal system - fairly inexpensive and check on the web site http://www.vnf.fr for info. There are basically 4 entry points to the canal system on the Mediterranean coast of France - Port St Louis, Sete, Port La Nouvelle and Agde - the last two have lower drafts (can be as little as 1.20Ms) than Sete or Port St Louis. If you are heading for the Canal du Midi then Sete is probably best. Go to the yacht club to have your mast very expertly craned down and loaded aboard. Take down your mast and get lots and lots of fenders or rubber tyres to surround you topsides and protect your hull from the rough concrete walls that you will regularly be coming alongside in locks. The tyres should touch the water.... It may be worth making a couple of X's out of wood with a bolt through to support the mast. - there are normally stacks of tyres at the cranes left by boats going the other way. Covering them in plastic rubbish bags secured with lots of sellotape and constantly renewed is helpful in keeping black marks off the hull. You have to get through a railway bridge that only opens morning and evening. This gets you into the Etang de Thau which is buoyed and shallow outside the channel. 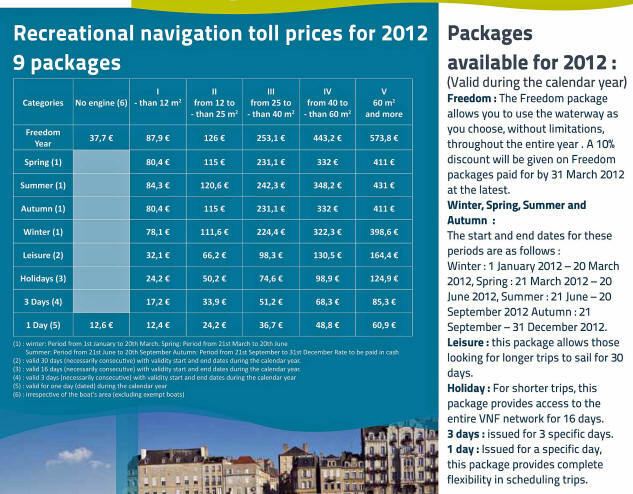 DISTANCE FROM Sete to Bordeaux - 503 Kilometers - 139 locks. Each lock takes between 30 minutes and an hour depending on the situation when you arrive and you can only move in daylight hours! 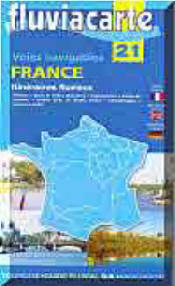 When you get to Bordeaux and re-step the mast, the trip down the river to Royan or straight through the shallows out to sea, requires the appropriate chart or pilot book - the Gironde is a serious river with fast flowing currents. 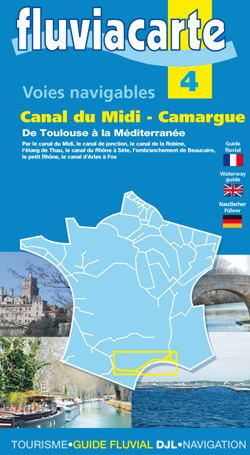 You need Navicarte #11 - Canal du Midi - L'Atlantique to Mediterranean. 1. Take off your masthead light, wind vane and vhf antenna - put a bucket over the top of the mast to protect it - they always seem to get bashed. 2. You will need 2 lines to each tyre fender (by law) As you will need as many as possible buy some cheap nylon rope to fix the 'fenders' as you will probably not have enough short lengths in the locker. 3. Keep a knife available in the cockpit just in case one of the mooring lines gets snagged and hangs the boat up as the water goes down in the lock. 4. If you are short handed (only 2) and you have a long enough line - fix a block on the bows and lead the fwd warp through the block and back along the deck to the cockpit - that way who ever is in the cockpit can pull in or let out the lines in the lock if the other one gets stuck on the lock side and is unable to get back on board. 5. You will need a hammer or preferably a mallet to hammer metal spikes into the bank to moor to at night. Frequently keel yachts can only get their bows close to the shore as the rivers/canals frequently shallow at the sides. 6. It may be worth considering having the mast taken by lorry to your destination - Certainly makes the trip easier in terms of moving around the boat. 7. 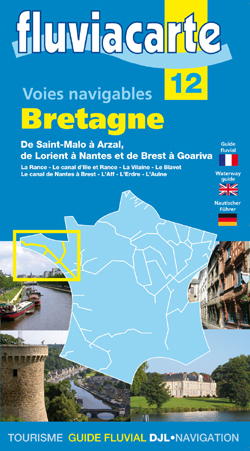 At some point you will have to buy a license for the time spent in the river canal system - fairly inexpensive and check on the official web site http://www.vnf.fr for info. The license is based on the time you intend staying in the waterway system - by day/week/month/year. find out if you know the rules! Probably the best site for learning boating things on the net!